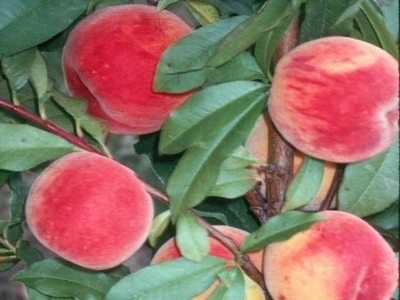 This fruit tree will make a great addition to any lawn or orchard. It will give you great fruit to enjoy and will also be great to make that homemade ice cream. This tree will also give you beautiful pink blossoms to enjoy during the spring months. It can grow to be around 20 feet high when fully mature. It will grow well in full sunlight. It is also ideal for well drained soils. This peach tree will usually bloom in April. Currently shipping 3-4' bare root tree's note this takes about a week to come in as we buy directly from our growers on fruit tree's.